I saw this photo and it simply cracked me up -Menopause Lane right next to Erectile Dysfunction Blvd. Almost every year on my birthday, I post about it because I like to share my gratefulness for another year of wonderful readers. Thank you for reading, sharing, and commenting on Snack Girl. You beautiful people make this a labor of love with your constant encouragement and guidance. I will continue to be here – currently working on my “pumpkin spice” posts as are the other food bloggers – trying to come up with healthy, affordable, and fun meals and snacks. This year, I am starting the drive down Menopause Lane and I think it is better to talk about it than be ashamed of a very natural transition. I am inspired by a much younger woman – Fu Yuanhui. The uninhibited Fu Yuanhui, the Chinese swimmer beloved for her over-the-top expressions, has made waves once again. On Saturday night in Rio, she freely discussed having her period while competing in the Olympics, breaking what has long been a taboo among female athletes. Think about it. How many times have you heard a woman discuss her menstrual cycle on the world stage? How many times have you seen Bob Dole on TV discussing his erectile dysfunction? Double standard? I think so. So here I go. I am tired, cranky, my period got so heavy that it soaked through my clothes. Last week, I was on the edge of a migraine FOR AN ENTIRE WEEK. I have to watch what I eat because it seems that every cookie or bagel sticks to my midriff. I feel like asking for a birthday cake made of kale but I won't go that far (my children would get too upset). 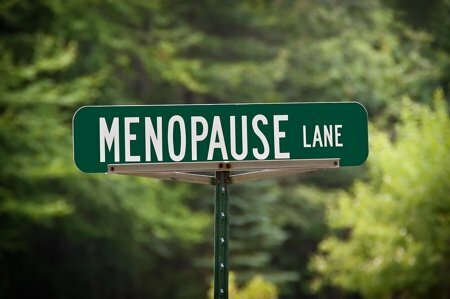 This menopause lane takes turns and sharp corners when I least expect it. Turning 47 is not a picnic. On the other hand, I am healthy, my kids are in great shape and my husband is understanding. What else could I want? Honestly, the worst part of 47 seems to be how society treats women past their childbearing years. It is like we are supposed to stop existing after we are no longer deemed “useful”. People don’t even see me so I can be invisible (which I sometimes like). I am sharing in the hopes that others are comforted by my honesty. I do not need sympathy but I do need your continued readership of this website. Please share any thoughts or comments on menopause. Just wait until you're 70! Ha! That birthday was a very big reality check because, in my mind, I'm still in my early 40s. Fortunately, I have good health, am physically active, and can enjoy retirement. Menopause was welcomed by me because it was the first time in decades that I stopped having monthly migraines and I enjoy not dealing with monthly periods. I had a much easier experience with it than many. I hope you have a smoother transition going forward and keep doing just what you do. Thank you for all the useful info you share with this blog. I was very fortunate to sail through with no side effects. But I do have plenty of 'results ' from being finished with it. The lot of women! Good luck to you snack girl! Oh I'm right with you sister! I'm 50 and heavy in the prep phases for menopause. Successful menopause is 12 months without a period. And I'm not there yet, so it's the lead up that's killing me, a.k.a. perimenopause. Periods from nowhere like a tsunami, Night sweats, hot flashes, crying at everything, but I'm trying to lose weight throughout the whole damn thing. Metabolism as slow as molasses uphill in January, but I'm doing it. As much as I crave junk, I definitely am feeling better when I eat healthfully, and the actual reward will be in the completion of menopause. And yes, I am 100% invisible to men right now. I'm using my powers of invisibility for evil. I'm with you, Snack Girl. I'm 49, having mood swings, wheat cravings and heavy periods that last over a week. Night sweats and prickly skin. Yeeha! You are still a puppy. I want back to school at 47 to learn a new trade. Not that I had to, because I wanted to. I had a terrible menopause. Hot all the time and felt like I was losing it. Past that and enjoying life. No periods, no cramps, and finally after all these years getting cooler! have had a very quiet transition. I do NOT feel our society has that perspective that older women are worthless any longer- I think that was a perspective a long time ago. Our population has aged and we have more people over 60 than ever before. Women can and are involved in lots of activities, clubs, civic organizations, and politics. I know many women have a tough transition through menopause - there are a lot of books at the library that have a lot of great information that can help you. My best advice is when you get a bad hot flash, open the freezer door and stick your head in for a minute! Good luck and keep your chin up! I will be turning 55 in January (considered a Senior Citizen in some places)In February of 2012 I went into "Mentalpause" I took a product called Amberen for my symptoms, after a week of taking it the sweats and other hassles were gone. I took Amberen for about a year and a half with no symptoms at all, then I stopped taking it and haven't had any symptoms since. I am post menopausal now. I find it very hard to stay in my weight maintenance range and have to be very vigilant. You are not alone Snack Girl. And Happy Birthday! Thank you for your honesty. If only more women would talk about it, maybe we would have more support from our doctors on how to survive perimenopause. I'm 62 and on the other side of the rough ride of meno. Was not easy. Invisible? Oh I think not. I speak whatever is on my mind, and for some, look out. I've earned it. Yes, I was pushed out of a great career due to age (yeah, prove that one! ), but I've moved on to a new chapter and enjoying it. Yes, I have to watch my diet, but when did I ever not? I workout, color my hair and keep up with fashion trends AND I can still turn a head or two (may not be those of years ago, lol!). Enjoy whatever the age you happen to be as it is all so fleeting! Cheers! I will be 75 in Oct. and the "boys" still talk to me. Always remember to keep a young attitude and always look the very best that you possibly can. You will feel better about yourself and so will everyone else. I have to admit that I AM blessed with good genes, but it's still about attitude. You get what you give. Never think of yourself as an old, useless, invisible lady, or that is what you will be. I am 64 and do not find that I am invisible at all. I retired young by many standards (59) and have found many other interesting ways to be active. I am a reading tutor volunteer, I volunteer (by choice) to assist with an arts conference co-sponsored by the local university and office of education, I am involved in community issues and I support our local land trust by helping to build trails. I now have time for biking, hiking, cross country skiing, camping, and I do all of that. I was a full time middle school band and orchestra teacher when I went through menopause and I had few symptoms. I later read that women who are physically active (I worked out vigorously every morning before going to work which was a longstanding habit - I know you are running so you have that base covered) and took balanced calcium supplements had fewer symptoms. I also never had another migraine once I finished menopause. To me age is just a number. I see life as a series of stages and menopause is just another. I love being past menopause because it is very freeing! Mine wasn't horrible. Did I have moments of wanting to rip into someone? Oh yeah....but I tried very hard not to use it as an excuse to be cranky. Carry a fan! There are cooling wipes that are very nice too. I focus on keeping my body and mind active. Focus on the positive and forget the rest. Like anything else in our lives, much of it is as we make it. Happy Birthday Snack Girl! It depends on the kind of hysterectomy you have. I had my uterus out at 27 for medical reasons but still had my ovaries, so I still went through menopause. Night sweats, mood swings etc. I turned 60 this year and sometimes till have night sweats. Good luck on this next phase of your life - and Happy Birthday too! Not only am *I* going through menopause - so is my entire office. Highly entertaining, always dramatic, and the few men we have are absolutely terrified. It's AWESOME! I complained about the heat this past summer and a male acquaintance said "You think THIS is hot...?" and readied himself to tell me some "I was so hot I melted" story. I cut him off and said "Look. It's 30 degrees out here. I'm a Canadian woman, of Icelandic heritage, going through menopause. Do you have anything you'd like to say?" His eyes widened, he stepped back, and replied quickly "Nope". Good call, buddy. Good call ;-) Have a BEAUTIFUL menopause, and remember you can USE it to do all the whacked out things you ever wanted to...it's a FABULOUS excuse! Just remember this line: "I'm menopausal. Get off me". They will! Chuckle chuckle! Love the 30 degree story from Cindy! My pause was bumpy but not rough. I knew something was wrong the day I was standing in the compost pile, turning it (one of my fave activities - no joke), the wind was blowing my hair in my face and I was pissed! I stopped. Why am I pissed? Outside and doing my fave thing? I decided to call the naturopath my friends used and have a chat. I had no $ and told the gal on the phone that and she (receptionist) told me to buy 3 things from my local store OTC. I've forgotten now what they were, but it worked for me. Probably placebo effect, who knows. Yea, no periods!!! At 65, I have been in menopause for 15 years and there is no sign it is backing off. I still have "PMS" symptoms sometimes twice a month. This is way worse than when I had my menstrual cycle. Headaches, hot flashes, achy body, night sweats, fatigue, insomnia, crabbiness and digestive problems. On top of it all, I am diabetic and the hormonal issues play havoc with my blood sugar. High blood sugar causes extreme grumpiness. When the hormones take over, blood sugar can go high and it is hard getting it down. Last night I watched a documentary on Indian (Asian) food and it related that India is basically Diabetes Central ! Suddenly, I did not feel so alone. Fortunately, I have pretty good control of the blood sugar most of the time. Now if I can just get those pesky hormones to balance out!